Ron Perkins of Louisville (second from right) was the keynote speaker at the 2019 East Central Community College Baseball First Pitch Dinner Feb. 10 in Mabry Cafeteria on campus. Perkins was the captain of the college’s first Mississippi Association of Community and Junior Colleges State Championship baseball team in 1998. 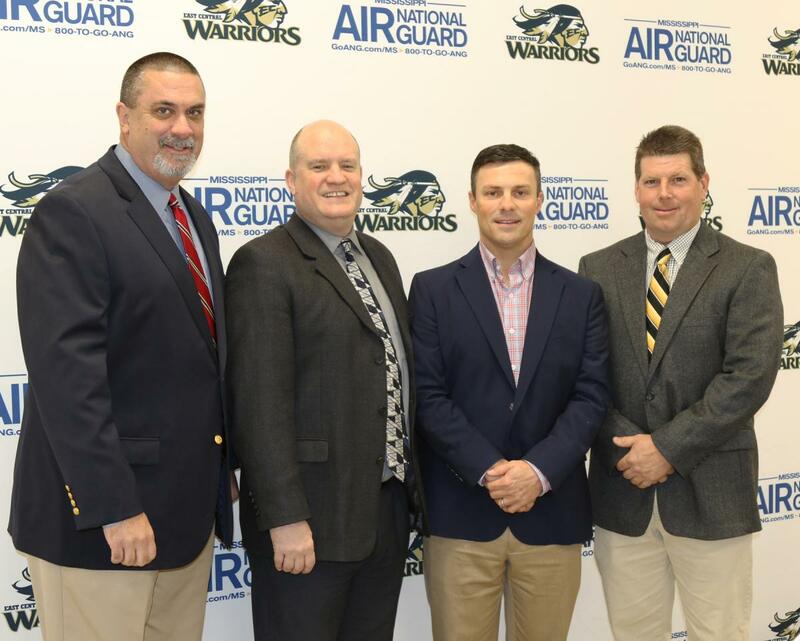 Shown with Perkins are (from left) ECCC President Dr. Billy Stewart, ECCC Director of Athletics Paul Nixon, and ECCC Head Baseball Coach Neal Holliman. In addition to Perkins’ talk, Holliman introduced his 2019 team and the 2019 Diamond Darlings, along with other special presentations and recognition. The 2019 Warrior baseball season begins Wednesday, Feb. 13, against Nunez Community College in Chalmette, La. The home opener is at 1 p.m. on Sunday, Feb. 17, against Jefferson College (Mo.) in Decatur.